Couldn’t a company save money by putting the project together piecemeal? 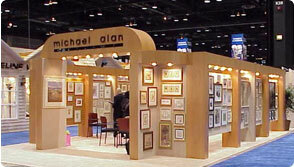 They could purchase a physical exhibit, including the production of custom graphics elements, carpet and furniture and any other necessary display equipment, for video monitors, literature stands, furniture; have it shipped to either their building or shipped directly to the show, contract their own labor, complete their own service orders for electrical and other utilities, order their own exhibitor and / or buyer badges, arrive at showsite days early, supervise their own labor for installation of the exhibit (from carpet to physical structure to utilities), put out any fires along the way, which should be no problem because there are seldom any hang-ups or headaches involved with getting a presentation ready for Show Day 1. They could do all of this using their own sales and marketing staff because you know they don’t have anything else to do that’s important for extracting value from their company’s exhibiting efforts, like meeting with local buyers and dealers or vendors. Yes, this is something that companies can do. 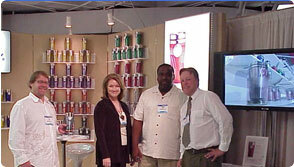 However, companies that are serious about maximizing the value of their trade show efforts know that there is much better use of their time and resources to make dollars that far exceed the pennies they save (by comparison) by burying themselves in the minutiae of preparing every last detail above. Not only that, but they are smart enough to put talented, experienced exhibit service professionals to work for them, relying on that expertise to guarantee results that reflect well on their company and product image and allowing their sales & marketing staff to generate the greatest ROI to develop new business and secure current and longstanding arrangements with current customers as well as enhancing their brand and increasing their market share. If the time used by your sales and marketing staff is of so little value that you’d rather have them being ‘the exhibit handyman’ than generating future business through show lead generation, then you probably have ‘dead weight’ in your sales and marketing departments. Making your sales and marketing staff be the ‘go-fors’ to assemble every detail and cross every T and dot every ‘I’ along the way tells them that you don’t respect their sales and marketing efforts, or, at least, don’t prioritize their efforts towards helping your company grow. Don’t be one of these ‘pennywise & pound-foolish’ companies. Invest wisely into your trade show exhibiting process and guarantee results that make your exhibiting ROI grow with each new show. The Showmasters Comprehensive Exhibit Service Package has been providing exhibitors the best ROI for their trade show dollar for over 30 years. 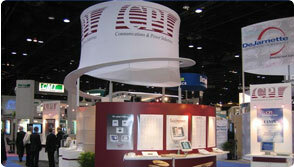 Call us today and guarantee a most successful exhibiting process at your next show.